Whether you're a fleet manager, small business owner or a company car driver, we can provide all the information and tools you need to choose and manage Nissan cars and LCVs here. Use these tools to calculate everything from your personal tax liability to how much a Nissan fleet may cost over time, plus benefit from our comparison tools that help you decide which vehicles are right for your business. 1) You pay a number of rentals in advance followed by a fixed number of monthly payments over an agreed contract period. 2) At the end of the term, simply hand back the vehicle with nothing to pay (subject to mileage and condition). 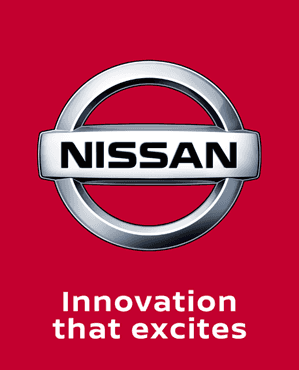 NISSAN offers a market-leading innovation to the Light Commercial Vehicle market with a five year/100,000 miles manufacturer warranty for its range of commercial vehicles. Nissan have announced two new Contract Hire Servicing Packages: Nissan Inclusive and Nissan Inclusive+. Allowing customers to combine servicing, maintenance and tyres into one manageable monthly payment. Nissan Inclusive includes servicing whilst Nissan Inclusive+ includes servicing, maintenance and tyres. Both packages are available on our three crossover models and also on Navara starting from just £5 per month. Contact us today to find out more information. "At Charles Hurst Nissan Business Centre, we supply the complete range of Nissan passenger and commercial vehicles. We are fully equipped to provide a solution tailored to your specific needs and whether you are considering contract hire, hire purchase or outright purchase, I would welcome the opportunity to discuss your individual requirements"